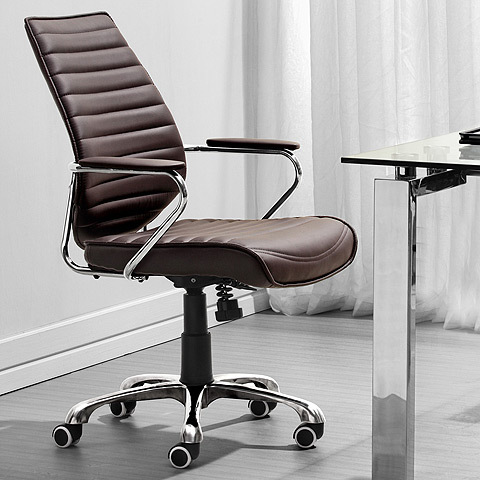 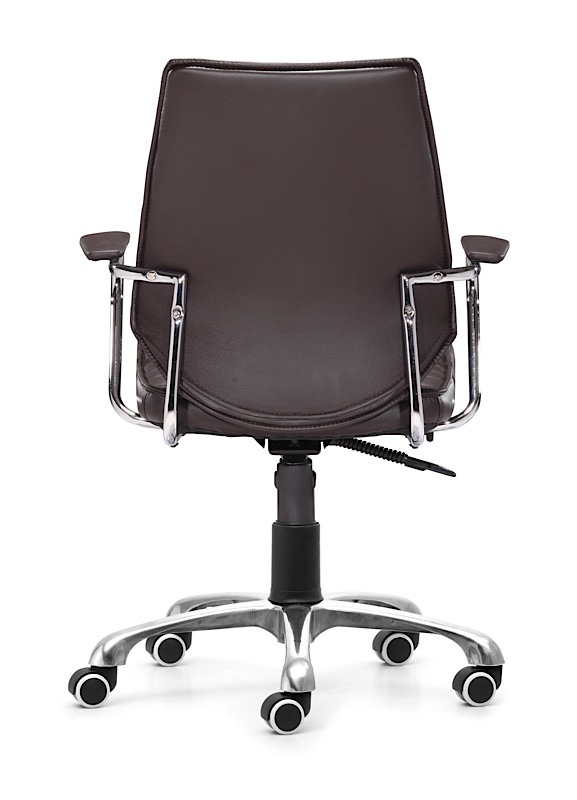 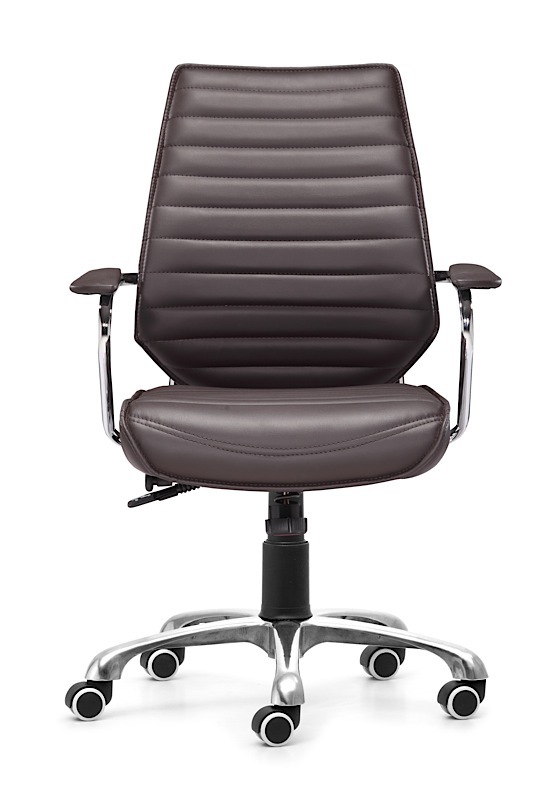 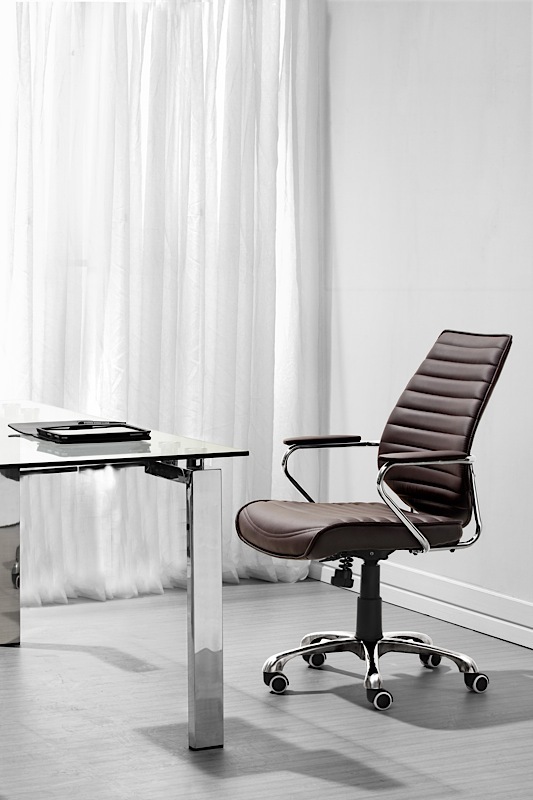 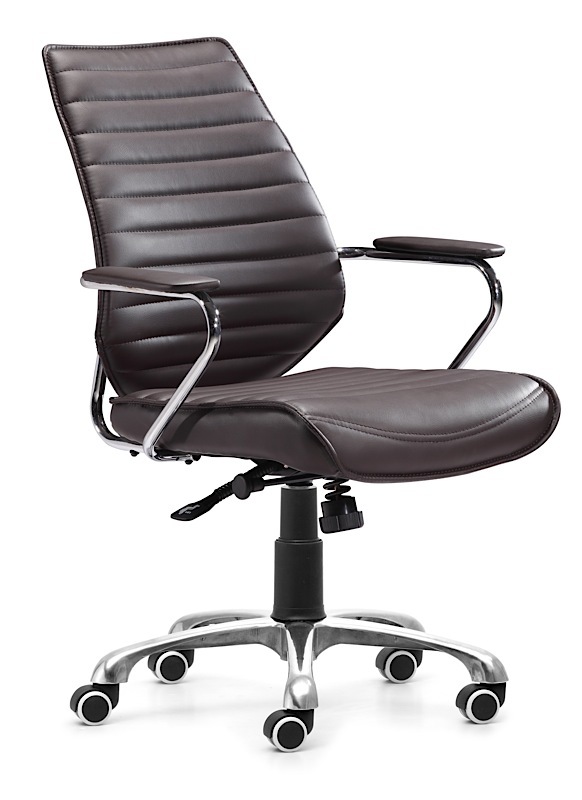 Affordable and stylish, the Enterprise Low Back Office Chair features a plush seat and tapered back, both tufted and available in either black, white or espresso brown leatherette. 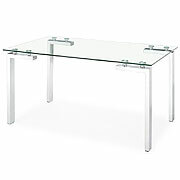 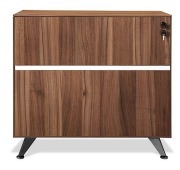 Chrome arms and five point base complete the piece, leaving Enterprise as a desirable solution priced for any modern office. 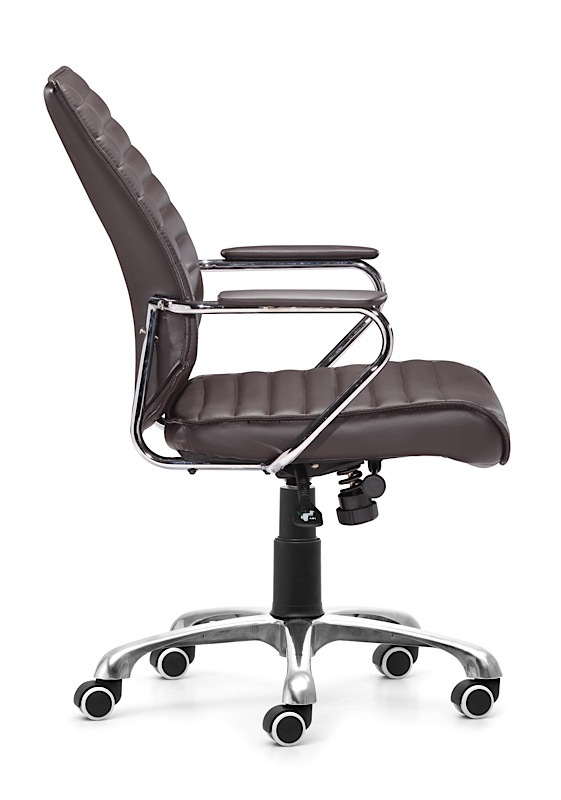 Designed and manufactured for commercial use, the Enterprise Low Back Office Chair features a hydraulic gas lift enabling the seat to variably adjust from 17.5" up to 20.5" high.